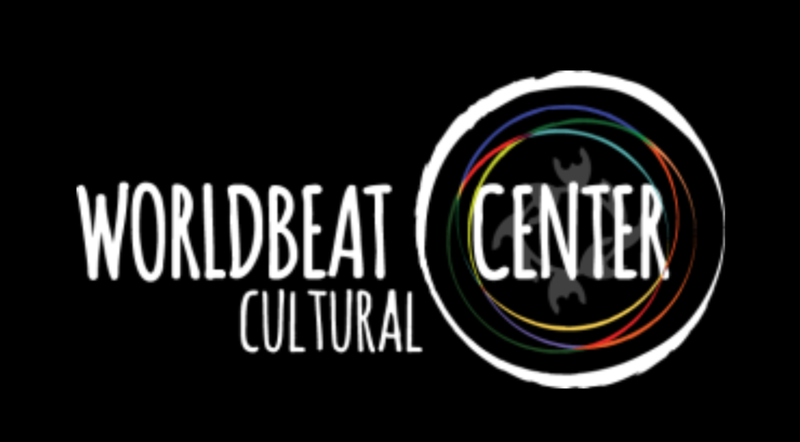 What is the WorldBeat Cultural Center? 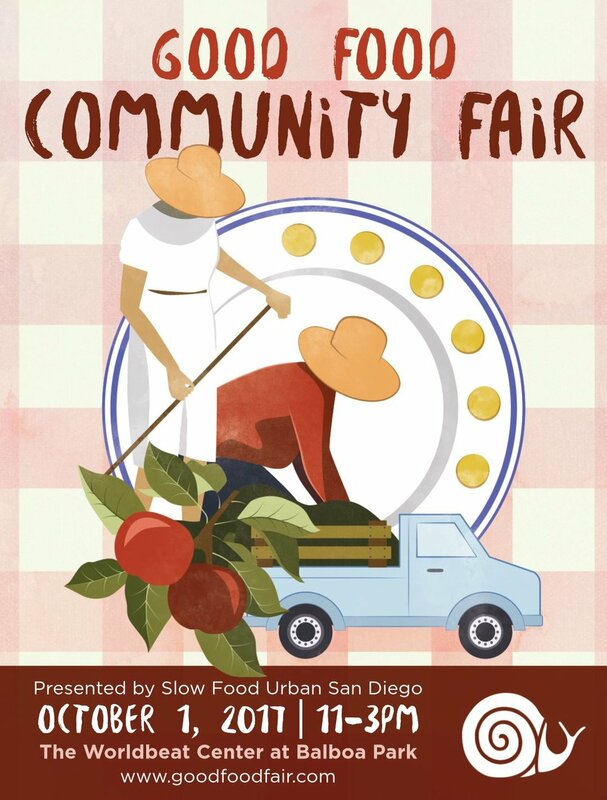 Slow Food Urban San Diego is excited to host this year’s Good Food Community Fair at the WorldBeat Cultural Center in Balboa Park. The Good Food Community Fair is our largest annual gathering of food activists, producers and purveyors. This year we’re integrating the theme of ‘The True Cost and Value of Food’ into the day’s activities. We hope to bring awareness to the parts of the food system people don’t see, good and bad, and to focus on food justice concerns. With this in mind we couldn’t think of a better place to host than the WorldBeat Cultural Center (WBC). 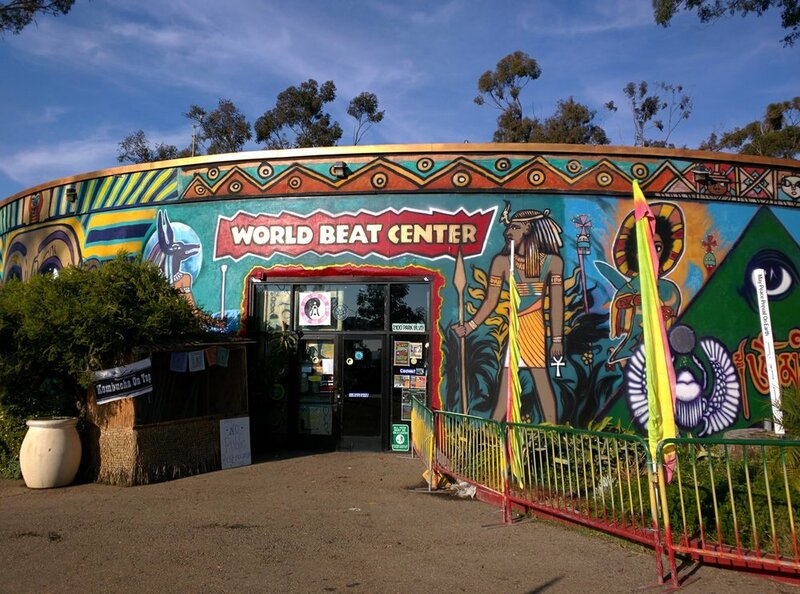 The WorldBeat Center is a non-profit multi-cultural arts organization committed to “healing the world through music, art, dance, education and sustainability” housed in a repurposed 1-million gallon water tower. They provide programs and services that nurture the spirit of children, elderly and everyone in between. Ultimately, they seek to heal the world by creating unity through diversity. Its doors are open every day to all people, regardless of color or creed, as a place to celebrate all cultures, art, music, dance, and people. One of the many beautiful assets of this venue is the Children’s Peace Garden. This native garden is a favorite location for school garden projects, nutritional education programs, summer camps, field trips, and partnerships with local organizations dedicated to food security. Through this garden, the WBC raises awareness around sustainability, urban wildlife, conservation, and urban gardening teaching inner city children and adults about recycling, composting, gardening and bird watching. The WBC utilizes this space to educate the public about the role of plants in society today along with the relationship of plants in the local and global indigenous cultures of the past. In 2015, in coalition with the local Kumeyaay, the World Beat Center embarked on a multi-level terraced garden of endemic and indigenous plants and vegetables that are part of the Kumeyaay lasting traditions. Not only is the building constructed of a repurposed water tower it’s sustainably run with LEED Certification, solar lighting fixtures, recycling and composting programs & handi-capable bathroom facilities. With the inside walls covered in murals by local artists brightly commemorating important leaders and historical cultures, there are multiple galleries and small shops within the building where healthy local foods are served, locally-sourced goods are sold, and a gallery of art and artifacts is displayed. Flags of all nations fly from the ceiling while the stage and dancefloor have hosted hundreds of famous and upcoming acts, artists, and events to the delight of tens of thousands of fans and attendees. Known throughout California and Mexico for its exterior murals celebrating Egyptian, African, and Indigenous Cultures, the WorldBeat Center is leading as one of the most-important multicultural art and event centers in San Diego and we are proud to collaborate with the WBC and host the 2017 Good Food Community Fair in their space. We look forward to seeing you there! Special Thanks to the WorldBeat Center Website and Facebook page for the photos used in this post. SFUSD is looking for a Policy Lead for our Food Justice Committee. This volunteer position will help identify local policy issues of interest to SFUSD and the local food/farm/fishermen community and lead in advocacy efforts around them including awareness building, building strategic partnerships, attending town halls, organizing community meetings, etc. If you are detail oriented, passionate about food justice, a strong leader/advocate and enjoy digging into policy, we want to hear from you. Organization and writing skills a plus. This would also be a great position for someone looking to gain non-profit organizational, advocacy, or community organizer experience. We see this as a position for growth in our organization, possibly leading to a board position. All SFUSD volunteers enjoy and experience a community around food. Time commitment: flexible. Our mission: Slow Food Urban San Diego seeks to create connections, and strengthens community around issues of critical importance - including environment, health, culture and equity - to San Diego’s food system. Through educational programming, community outreach, awareness campaigns, and social gatherings, we unify food growers, harvesters, fishermen, makers, eaters and drinkers around a shared vision of good, clean and fair food system for all San Diegans. Applications due no later than 10 p.m. PT on June 9th. 1. Active participant in San Diego's local food system (farmer, fisherman, chef, educator), and committed to good, clean and fair food for all San Diegans. 2. Available to attend Slow Food Nations in Denver, CO for the complete conference (arriving no later than the evening of July 14th and staying through the evening on July 16th). 3. Committed to working a 2-hour slot at the Slow Food California booth during the conference with a Slow Food Urban San Diego member to share information with attendees about San Diego food system efforts related to your subject matter of expertise. We will help you prepare and connect with others attending. 4. Available to attend a Slow Food Urban San Diego board meeting in late summer/early fall 2017 to share key takeaways from the conference, and committed to attending at least one Slow Food community gathering this fall to share related info to our local food system. 5. Currently involved or interested in getting more involved with Slow Food Urban San Diego committee meetings or other supporting efforts. Scholarship includes reimbursement of up to $1,000 for itemized travel expenses including airfare, lodging, food, conference fees and transportation, all of which much be coordinated in communication with a Slow Food Urban San Diego Board Member. All applications will be reviewed by the Slow Food Urban San Diego Board, and selected applicants will be notified via email no later than June 16th. Your support will enable us to continue our programming in schools and at local events including the Slow Food School Gardens and Edible San Diego for Kids. The Slow Food School Garden Curriculum provides lessons for taste education and basic cooking skills. The activities center around cooking and eating with the goal for students to customize and enjoy what they have grown. The lessons promote critical thinking and involve hands on actions by the students. Our goal is to raise $5000 to fund tabling kits for taste education and a new printing of Edible San Diego for Kids. You can make your donation by clicking on the “Donate” button at the top of this page. If you would like to make a donation as a gift, please make a note in the comments when you make your donation and we will send you a gift certificate to present as your gift. We appreciate your support in this important work! SFUSD is a 501c3 non-profit organization. All or part of your donation may be tax deductible as a charitable contribution. Please check with your tax adviser. Special thanks to Slow Food Urban San Diego volunteer Jenny Ikoma for these great food waste fighting recipes! How to get the most out of your food and reduce waste. Parmesan is a wonderful ingredient in the kitchen but did you know that you can use the rind as well? Stop wasting those precious rinds and save them up in the freezer for some amazing uses. The natural rinds of cheeses like Parmesan, Pecorino, and Romano is air dried like a crust and edible. The rinds can be used to flavor soups, stews, rice and bean dishes almost like bay leaves. Parmesan rinds can even be thrown together with other vegetable scraps such as onion, celery, carrot, mushroom stems, and herb steams like cilantro or parsley to make a delicious and nutritious broth. Wash beans and place in pot with water, bay, garlic, and oil. Drain if desired and season with salt and pepper to taste. Do not add salt or use salted stock/broth at the beginning of the cooking process so that the beans cook quickly and evenly. Any fresh or dried herbs can be added to the cooking process as desired. Once cooked beans can be eaten as is or added to soup, pureed into a dip, topped on pizza, mixed into pasta, tossed into salad, or pared with rice. Dried beans are versatile, healthy and cheap! If you ever take a Saturday morning trip over to the Tuna Harbor Dockside Market at the Port of San Diego you will see a dazzling array of seafood for sale direct from the fishermen who just caught it. While you can get a whole fish at a fraction of the cost of the grocery store it can be a bit daunting to purchase. What do you do with a whole fish? There is a butchering station there that will cut it up for you but don’t waste those heads! Make your money go even farther by cooking up some fish fumet that can be used to make healthy and delicious soups and pastas. Use it in chowders, bisques, cioppino, miso, even as a warm cup of “bone broth”. Melt butter in large stockpot over medium heat and add onion, carrot, celery, bay, peppercorns, thyme and parsley, stirring often until vegetables become soft but not brown. Add wine or lemon juice then cover with water and let simmer on low heat approximately 30 minutes. Strain through a cheesecloth set inside a fine mesh strainer and cool over an ice bath if not using immediately. Once cool refrigerate for up to 3 days or freeze up to 2 months. Like all homemade stock it will have a jellied consistence when cool but will melt when reheated. Great way to use up vegetable trimmings as well. Feel free to add other vegetables such as mushrooms, leek, garlic, fennel but avoid strong flavors like broccoli, asparagus or bitter greens. Oily fish such as salmon, tuna, or mackerel have a strong flavor and will make a stock right for their own chowders but will be too strong for other applications. Easy stocks can also be made using crustacean shells like shrimp or crab. Food Waste is a topic gaining momentum in the media as well as with individuals and organizations throughout the world. You do not have to go far to find stories and programs around Ugly Fruit, Gleaning, Food Insecurity, Waste Free Dining, etc. Here in San Diego there is a new program designed to help combat food waste called Waste Not SD. San Diego’s Specialty Produce recently started Waste Not SD to help recover food from local restaurants before it goes to waste and get it to local food insecure populations. We spoke recently with Specialty Produce’s Allie Tarantino, who worked to bring the program to life. Allie told me that she’s been working in food service for over a decade and that a ton of food goes to waste. One single restaurant can have between 25,000 and 100,000 pounds of food waste a year. Allie was inspired by other programs that exist, like LA Specialty’s Chef’s to End Hunger to create something in the San Diego area that can help reduce the amount of food that our restaurants throw away. The program is genius in its simplicity. Specialty Produce works with over 800 restaurants in San Diego County. Those restaurants can order food safe containers along with their produce order, fill them up at the end of the day with food that would otherwise go to waste, and the Specialty Produce delivery team will pick it up and deliver it to a local organization that distributes the food to people in need. Because the program builds on relationships and delivery routes that already exist, it requires minimal additional effort for any of the parties involved. The program here is new, but Waste Not SD has three active accounts and is already actively working with both Tom Ham’s Lighthouse and Bali Hai Restaurant to collect food and distribute it to non-profit partners that they’ve identified through the San Diego Food Bank. We are very pleased to share the following guest blog from California Sea Grant on local seafood in San Diego: Most of the seafood consumed in the United States is imported. Even in California, it is likely that less than ten percent of the seafood consumed is domestic. With our coastal location, why aren’t San Diegans enjoying locally caught seafood? A new study shows that just eight percent of the city’s 86 seafood markets consistently carried San Diego-sourced seafood. Fourteen percent of markets carried it on occasion. The majority of markets that did carry local seafood were located within a mile and a half of the coast. One of the potential limitations to local seafood access identified by the study was a lack of waterfront workspace, including space for docking boats, maintaining gear, offloading and refrigerating catch, and for selling catch directly to the public. To maintain local seafood systems and the fishing heritage of many waterfront cities, reliable waterfront infrastructure is needed. With the Port of San Diego reviewing plans for a radical redevelopment of Central Embarcadero. San Diegans have an opportunity right now to fulfill this need. The study also pointed to a lack of urban infrastructure as a potential barrier to establishing and supporting a local seafood system. Unlike agriculture, seafood production is limited to the coast. Therefore, local distributors may play a larger role in increasing community access to local seafood, bridging the gap between the waterfront and the city’s restaurants and markets. In March 2016, over 200 fishermen, fishmongers, chefs, scholars, activists, students and community leaders gathered in New Orleans for four days of stories, food, art and music. Slow Fish 2016 was glorious. We shared our successes and our challenges in striving for good, clean & fair seafood for all. Sarah tells us more about this event and how San Diegans can apply good, clean & fair values to our seafood consumption. “The world’s fisheries are in trouble. 70% are either exploited, overexploited or have already collapsed” is what media tells us. This leaves the impression that we manage our fisheries so poorly that we’ll soon empty the oceans of seafood. Not so. In the U.S. at least, our fishermen are among the most stringently managed. If they catch too many fish or harm protected populations (e.g. dolphins or endangered turtles), we have to do something – shut down the fishery, or change fishing gear, season, location, etc. The number of fish populations overfished in the U.S. is decreasing, not increasing. Here’s a more thorough treatment of the issue that explains why the doom-and-gloom narrative is wrong and destructive. What can we do? How can we wade through the misinformation and support a healthy seafood system? Enter Slow Fish, a grassroots international campaign to promote good, clean & fair seafood. We do this while bringing joy to the efforts to restore marine ecosystems and support fishing communities. That’s a deep order, so how do we do it? In March 2016, over 200 fishermen, fishmongers, chefs, scholars, activists, students and community leaders gathered in New Orleans for four days of stories, food, art and music. Slow Fish 2016 was glorious. We shared our successes and our challenges in striving for good, clean & fair seafood for all. Local attendees included: Sea urchin fisherman and community leader, Peter Halmay, who shared how a fishermen's market in San Diego was created; Chef Drew Deckman of Deckman's en el Mogor, a Slow Fish advocate who cooked and shucked his weight in oysters for us; Scripps Institution of Oceanography student volunteers: Flora Drury, Kate Masury and Catherine Courtier, who's masters projects focus on fishermen's markets, value chains and sustainable seafood; SFUSD member, Eric Buchanan, who volunteered as official event photographer; SFUSD's vice chair and seafood liaison Sarah Shoffler, who was on the event planning team with partners from across the U.S. plus Canada and Italy. I met family fishermen from Florida to Alaska, who continuously adapt their practices to changing management and ecosystems. They fish in small boats. Or large. They use the most up to date gear with turtle excluder devices and pingers (to avoid dolphins). They fish weirs, fishing gear whose origin dates back to before the emergence of modern humans. They are young – I met a 20 year old woman named Erica from Nova Scotia, who fishes weirs with her father. They are not so young – San Diegan sea urchin diver Pete Halmay joined us and shared his story of starting San Diego’s first fishermen’s market – where fishermen sell their catch directly to the public. These people love the ocean and what it brings us. Fishmongers from Moss Landing shared how they started a community supported fishery (CSF) and a “Bay-to-Tray” program where they provide bycatch from the black cod fishery to school lunch programs –animals that would otherwise be wasted. Another fisherman shared his story of building a business where he takes people fishing on San Francisco Bay and teaching them to cook what they eat. We heard so many big and small ways of supporting a healthy food system, one based on good, clean & fair seafood for all. I was buoyed to learn that efforts in San Diego to support our small-scale fisheries are seen as successes elsewhere. And that by supporting local fishermen with my business, I invest in families and the local economy as well as give hope to folks who are so often portrayed as the enemy to our marine ecosystem, when in fact they offer many of the solutions to sustain it. (1) Now: Connect local chefs directly to local fishermen - this is the best way to get the freshest most sustainable seafood on our restaurant plates. If any chefs would like to meet our local seafood producers, please get in touch. (2) Soon: Collaborate with local chefs, fishermen, fishmongers and others to bring you Seafood Saturdays - a campaign to promote local US-caught seafood in San Diego and to teach San Diegans how to prepare, cook and enjoy the local bounty. Check us out at the Tuna Harbor pier starting April 16th. (3) Future: Research barriers to keeping local seafood local. Why is the local catch sent outside the City, County and Country? How can we keep it here? Why should we? (4) Future: Keep our waterfront a working waterfront. How can we maintain our cultural heritage as a fishing community? How can we revive it? How do we keep the harvest of this healthy and delicious resource in our community? What’s a seafood lover to do? Encourage the Port of San Diego to keep our waterfront a working waterfront – to maintain space for our fishing industry. Get in touch with Slow Food Urban San Diego and join our Slow Fish team. Slow Sips March 5th @Tiger!Tiger! Join us for our first Slow Sips of the year. Meet our board and learn what's up for 2016 in the Good, Clean & Fair Food for All world. Plus, meet the folks behind the meat at Tiger!Tiger! and their friendly bakers. But wait, there's more! Light snacks provided and SFUSD members get 10% off food and drinks. RAWR, indeed! Slow Sips are networking and community-building events put on by Slow Food chapters. It's one of the ways we celebrate food as a cornerstone of community. Please join us on January 29th for a Slow Wine tasting at the fabulous Rose Wine Bar in South Park. For this event The Rose is excited to welcome to their side bar four Matriarchs of Italian wine making on their USA Slow Wine tour. The tasting will include four wines from four producers and a complimentary apertivo. Tastings are $25 with $5 of each tasting going to Slow Food Urban San Diego. Hope to see you there! Upcoming Slow Food Urban Events! Join us for a collaborative gathering of fishermen, scientists, chefs, students, co-producers and gastronomes from across continental North America and beyond, searching to find solutions to the many challenges that affect fisheries, habitats, oceans, and cultural seafood systems in New Orleans, March 10th - 13th. In addition to a conference in the Old US Mint and a seafood festival in the French Market, Slow Fish 2016 in New Orleans will feature a traditional Lenten Friday Night Fish Fry at the French Market, tours of Louisiana’s rapidly disappearing wetlands and coast and other events around town and throughout the region.We guarantee that anyone brave enough to attend will have a great time, incredible food experiences, and will never ever look at watersheds, waterways, oceans and seafood the same way again. Sign up and join the event. Want to host a local fundraiser to send local fishermen and students? Let us know! Write a blog. If you or someone you know would like to write a blog on the topic of good, clean, and fair seafood for all -- we wanna highlight you! Be a presenter. Share stories and your experiences around seafood business, healthy oceans, and fish policy. See our request for Pesce-Kucha style presentations or email us directly. Please contact us with any questions or if you'd like to get involved in any way! Bees are critical to pollinating plants and to growing thousands of fruits and vegetables that we eat. They are the only insect who make food that humans eat. But since the 1990s, beekeepers around the world have noticed bee colonies are disappearing. Added to that, droughts mean less access to their food supply. These things together spell trouble for these amazing five-eyed, honey-producing critters. DID YOU KNOW? There are three types of bees: worker, drone and queen. All worker bees are females. Their wings beet 200 times per second or 12,000 beats per minute. The average worker bee produces about 1/12th of a tablespoon of honey in her lifetime. Bees communicate through pheromones and dances. Plus watch this. But you don’t have to convince Hilary Kearney, Owner of Girl Next Door Honey, of the importance of bees. Her whole business is grounded in making bees accessible to people on every level. Hilary cares about her bees. Under normal conditions, bees will produce excess honey, enough to supply us humans with the sweet stuff and still feed themselves. But during a drought, there are fewer flowers, which means less nectar, which the bees need in order to make honey. So they may not be able produce enough for themselves and may have to work harder and travel further just to find the nectar. To support her bees, who rely on honey as their only food, Hilary doesn’t harvest honey during a drought. So when people buy honey from her, they can be assured that the bees it was taken from have enough food and are not starving. In addition, the drought has weakened the wild colonies in the area. They are producing smaller and weaker swarms (when a queen leaves a colony with worker bees to form a new colony). “When I do a bee rescue it takes more effort and resources to keep those bees alive and healthy” she says. Wondering what you can do to support bees? Avoid neonicotinoids in pesticides. These are thought to weaken bees’ immune system and make bees vulnerable to disease, parasites, extreme weather, viruses, poor nutrition, and other stressors. Plant organic bee-friendly flowers, like California poppy, citrus, sage, sunflowers and others listed here. Make a bee drinking fountain: fill a baking dish or pet water bowl with pebbles or marbles and water. The bees will stand on the marbles while they drink, without drowning. To learn more about bees, honey, beekeeping and how to help bees, you can check out Girl Next Door’s partnership with Suzie's Farm and their new monthly Beehive Tours. You’ll be able to suit up and go into a beehive with Hilary. Or, come check her and our other bee-positive partners out at the Good Food Community Fair, Sunday, October 11th. Our “Craft Beer and Local Hops: a Community Dialogue” panel discussion at this year’s Good Food Community Fair will feature three San Diego breweries and a local hop farmer. We selected these local producers because of their novel production practices, commitment to sustainability and community, along with their flavorful products. Bold and hop-centric Stone Brewing Co. is a San Diego king, both in terms of brewing and in terms of supporting the Good, Clean & Fair Food movement. Longtime supporters of local environmental non-profits, like Surfrider San Diego, sustainability is integral to their business practices: Stone Brewing World Bistro & Gardens is the largest restaurant purchaser of local, small-farm, organic produce in San Diego County. Their Bistro’s Meatless Monday menu prevents 110,448 lbs. of CO2 from being released annually and they source their vegetables from their organic Stone Farms. Stone also provides their spent grain to local dairy animals for feed. Stone sees operating their own farm as a hands-on demonstration of their commitment to sustainable food production. Nopalito Farm & Hopyard is a two-and-a-half acre certified organic hopyard in north San Diego County providing high-quality local hops to local brewers. “While we do dry some of our hops, we prefer to supply brewers with fresh hops, which are typically hard to come by this far south. Plus, we grow damn tasty hops,” says Jordan Brownwood, Farmer and Owner of Nopalito Farm & Hopyard. “Water is the number one issue for farms all over the West Coast, so the drought has heavily affected us,” which is, in part, why they use drip irrigation, heavy mulching and other techniques allowing them to minimize the farm’s water use. And while our local breweries have not yet faced big water restrictions to their operations, the drought is on all their minds. “The dirty little secret of the brewing industry is the brewing process consumes a large amount of water to make a gallon of beer,” says Brett. Most breweries use 3-7 barrels of water to produce one barrel of beer, depending on their production practices. Duck Foot, Green Flash and Stone evaluate water use at each step in their beer-making processes. And Stone is trendsetting in its water practices having implemented an on-site water reclamation system and water conservation practices years before the drought’s regulations came into effect. Our panel, moderated by JuliAnna Arnett, a local food systems expert, will explore the ways our local beer and hop industries support good, clean and fair food (and beer!) for all, the impact of the drought, and how they can implement water-wise production. Plus, beer. Really good beer. Tom Modifica, Water Reclamation Supervisor, Stone Brewing Co.
With no end in sight to the California drought, local organizations are seeking sustainable solutions to address all aspects of water use. The San Diego Food System Alliance, coordinated by Elly Brown, is collaborating with other local non-profits to process and minimize food waste - a surprising issue of importance in the water conservation dialogue. According to a recent Natural Resources Defense Council report, getting food from the farm to our forks eats up 10 percent of the total U.S. energy budget, uses 50 percent of U.S. land and swallows 80 percent of all freshwater consumed in the United States. Yet, 40 percent of food in the United States today goes uneaten. This means that Americans are throwing out the equivalent of $165 billion each year and wasting a significant amount of water at the same time. What’s more, researchers at the NIH have found that food waste accounts for over 25% of total freshwater consumption. Not to mention the approximately 300 million barrels of oil per year for transporting this wasted food along with the methane and CO2 emissions from decomposing food in our landfills. The good news is that the state of California recently passed legislation to begin addressing some of these issues. Governor Jerry Brown signed AB1826 in October 2014, which requires local jurisdictions to have an organic waste recycling program in place by January 1, 2016, and businesses to recycle their organic waste by April 1, 2016. A forward-thinking policy, no doubt, but how will it be implemented locally? The Food System Alliance is working in San Diego County to create polices and solutions to address huge gaps in terms of infrastructure for handling food waste. Food System Alliance researchers recently estimated that San Diegans produce 500,000 tons of food waste, but local composting facilities can only process an estimated 10,000 tons of this waste. We still have a long way to go. Public awareness about how much food waste we are producing and how to store and recycle this waste properly is a critical piece to the story as well. “The National Resource Defense Council and Ad Council are doing a national awareness campaign around food waste launching in early 2016, and we plan to dovetail and build upon that locally,” says Brown. Ground-level efforts are also helping to educate community members about waste issues and engage them in opportunities to create change. The Food System Alliance has collaborated with the Wild Willow Farm, Hidden Resources, and Sweetwater School District to pilot a Food Recovery Program. The Food System Alliance will also convene groups and individuals for a half-day summit on food waste on October 6: the Food Waste Solution Summit. “Water conservation should not only be happening in our homes but also in our food system as well by creating less waste and encouraging efficiencies,” says Brown. To learn more about local efforts to conserve water, join the Food System Alliance and other community partners at Slow Food Urban San Diego’s Annual Good Food Community Fair on October 11. We're pleased to announce that Café Virtuoso will present at this year's Good Food Community Fair. Café Virtuoso, founded and owned by Laurie Britton, is the only 100% certified organic and fair-trade coffee roaster in San Diego. Her unique café and roasting facility is located in Barrio Logan, a few blocks from Quartyard, making them the perfect community partner. Laurie has owned the cafe since 2007. Her daughter Savannah works alongside her and trains their talented team of baristas, and leads café coffee classes and “cuppings,” the practice of observing tastes and aromas of brewed coffees. Both have a profound passion for coffee and for supporting organic and fair trade coffees in addition to being long-time supporters of Slow Food. They have a wealth of knowledge of the global coffee industry and sell a unique range of organic beans and teas that they share with their staff. It’s not uncommon that you walk into the Café Virtuoso and learn something new about the coffee you’re about to enjoy. Chat with the baristas, they know their stuff. Savannah will kick-off the Good Food Community Fair special programming at 11AM with an engaging conversation on how Café Virtuoso selects coffee from farms around the world, roast beans in house, how they have paved the way for women in coffee in San Diego, and what they are doing to conserve water at their café and roasting headquarters. Stay for their latest cold brew paired with Nomad Donuts donut holes! You can also find Café Virtuoso at the Little Italy farmers market on Saturday’s. San Diego has over 300* Master Gardeners, passionate gardeners who serve and educate San Diegans on pest control and horticulture for free. Part of a rigorous training program founded in 1980, by the University of California Cooperative Extension, they work alongside teachers and parents helping children with their garden projects. They help community gardens overcome challenges with their plots, and with the drought plaguing California, their services and knowledge are much needed in the gardens. To help San Diego communities combat the drought, the Master Gardeners have developed their Earth Friendly Gardening program. This program trains gardeners in sustainable gardening addressing things like how to adapt to the drought by providing information on creating an earth friendly garden--information on how to conserve water, maintain soil quality, and reduce waste. Thanks to the Master Gardeners, Community Gardens all over San Diego, like the Agape House by San Diego State University, have thrived and continue to provide fresh and local produce for the community. "One of my favorite things about being a Master Gardener is helping people with their gardening challenges," says Dominick Fiume who became a Master Gardener through working at the Ark of Taste Heritage Garden in Old Town State Park. As fulfilling and rewarding experience it is being a Master Gardener, becoming one takes a lot of work. To become certified, students go through a training program consisting of 16 weekly classes taught by agricultural experts which educate aspiring volunteers on pest management and horticulture. They must pass an exam and then volunteer regularly as well as continue their education to keep their certification. Through their commitment, knowledge and passion for public service in gardening and pest control, the Master Gardeners have helped San Diego communities preserve and create more sustainable gardens. SFUSD is excited that this passionate and knowledgeable San Diego resource is participating in our 2015 Good Food Community Fair. Look for their booth on wise water use. *the original story in the Sept newsletter reported there were over 60 Master Gardeners in San Diego. San Diego has over 300.